Memorial Day is the big kick off for the summer camping season and it’s coming up fast! Are you ready to enjoy some fun in the sun this Memorial Day weekend? 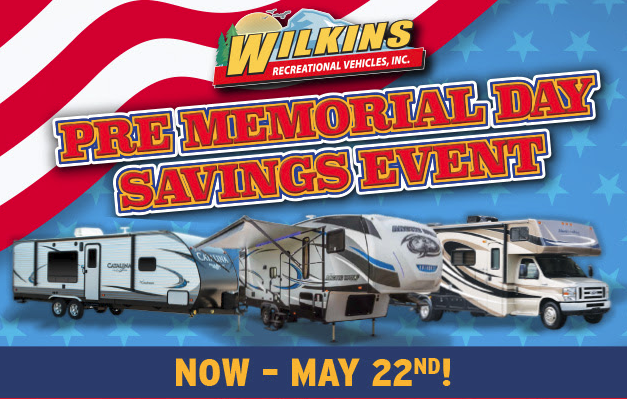 The Wilkin’s RV Pre-Memorial Day Savings Event is going on now with amazing deals on new RVs, including motorhomes, fifth wheels, travel trailers and toy haulers. Purchase your dream RV between now and May 22nd and we will have your new camper ready to roll for your Memorial Day vacation! With 90 Days No Payments, financing as low as 4.99% and $0 Down Payments (o.a.c. ), there’s no reason to wait! It’s the perfect time to get out of your tent or outdated RV and into a brand new camper with state of the art amenities and features. 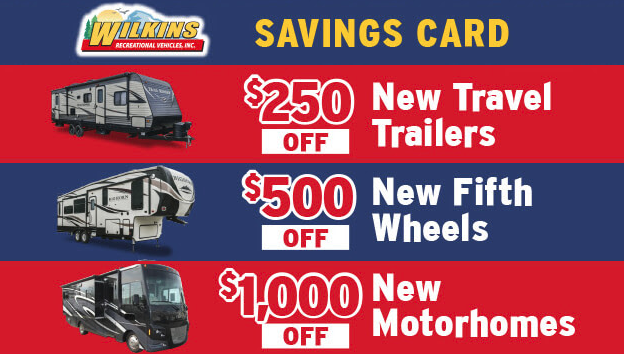 Contact the Wilkin’s RV Finance Department for details on the special financing incentives going on now. Check out these low monthly payments! 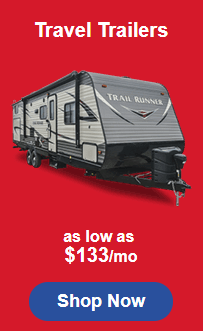 For as little as $133 a month, you can be enjoy your next camping adventure in convenient RV comfort. 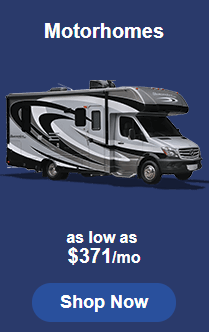 As an extra bonus, we are offering extra savings on our huge selection of New RVs. 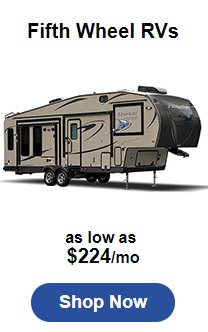 $250 Off New Travel Trailer RVs- Small, lightweight campers to family friendly bunkhouse trailers that sleep up to 10! $500 Off New Fifth Wheel RVs- Top brands from Grand Design, Heartland, Coachmen, DRV, Jayco and Forest River! $1,000 Off New Motorhome RVs- Gas and Diesel – Class A and Class C RVs – Your next road trip is waiting! Enjoy the start of summer in style with a new RV from Wilkins. Visit one of our 4 RV Dealership Locations throughout New York State or Contact Us for questions about our large selection of new RVs in stock. But don’t wait! These offers are only available now through May 22nd. It’s time to get out and get camping!